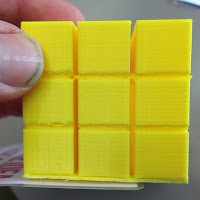 This is the third in the series of students created 3D Printed objects that were entered by students as part of a local Mathematical competition. Traditionally in the 3D Design section of the competition the students have created objects from traditional material, to our knowledge our school is the first to 3D Print objects specifically for the competition - although of the four objects entered only the previous 'Lemon Squeezer' object achieved a 'merit' placing. The student responsible for this 3D Print wrote a post about it on her student blog. You can view the link by clicking here. How long did it take to print? 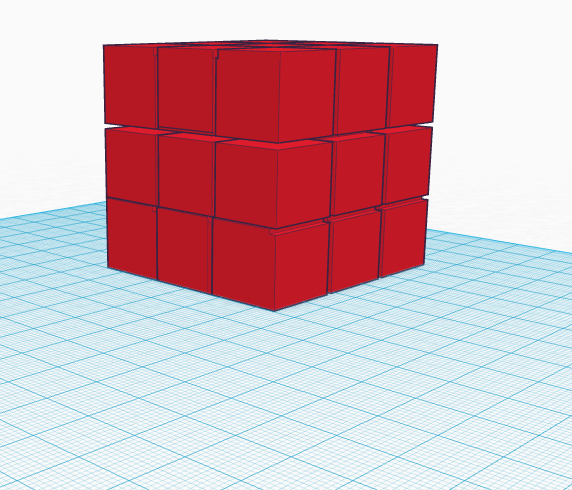 Twenty hours approximately - the student was unsure about the settings and passed it onto the classroom teacher once it was designed in Tinkercad. Judging by the weight and the quality of the finish it was printed on a 'fast print' setting like most of our prints. Problems/Issues: The rafting is visible on the base of the print, this wasn't sufficient to be easily removed and as a result was still visible on the finished print. 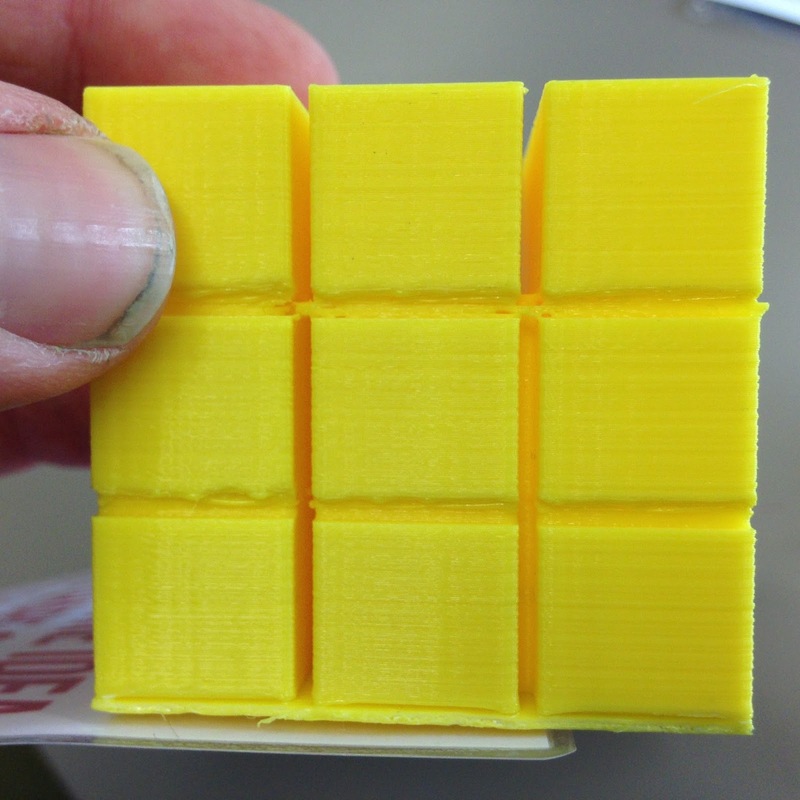 A further design issue was that the entire print was one colour and the student would have preferred to create one based on different colours, although not those necessarily from a traditional Rubix cube. What would you do differently: The student had considered the combination of colours and somehow printing a combination of colours to have different squares. However there would have been issues, the design of a Rubix cube has shapes on the sides of each square and they could be individually rotated - the other question was the gap between the blocks, this was created but cutting a regular box shape and inserting a gap, this was simple to do with a basic design but combining colours which would have to be rejoined together which would have been much more challenging.